It’s a typical weekday morning at the ever busy Pune railway station, which is full of the usual types — commuters rushing to catch trains, people sprinting on the bridge because they found themselves on the wrong side of tracks, families struggling with ‘extra’ large suitcases. But there’s a strange rush at platform number 1. Armed with cameras aimed at the approaching train, are clusters of people gathered on both sides of the tracks. The anticipation is not for a celebrity, politician or even a relative. They all are here, waiting to see the train itself arrive in royal style, all spruced up — for her birthday. These people are 'railfans' — a group of die-hard enthusiasts (or ferroequinologists), for whom trains are not just a mode of transport, but fascinating machines to be marvelled at. Every year on 1 June, hundreds of railfans from across India convene at Pune to celebrate the birthday of Deccan Queen Express along with regular commuters. “We celebrate Deccan Queen’s birthday just like we celebrate our birthdays with family. 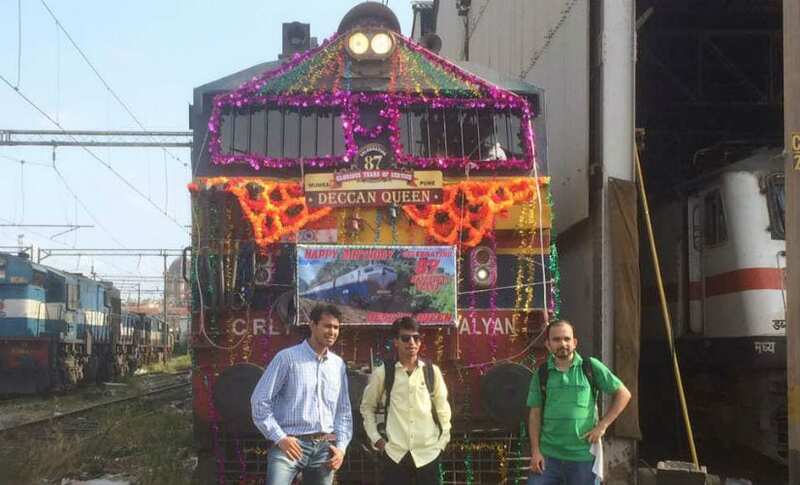 We decorate the train, and cut a cake as well," says Mumbai-based auditor Akshay Gupta, who makes it a point to be a part of the Deccan Queen's birthday celebration every year. “It’s my first love. I make it a point to wish her on her birthday," says 23-year old Amol Nikam, system engineer at Infosys, also referring to the Deccan Queen. Like Akshay, there are thousands of other railfans who study/ride/photograph/shoot videos of trains with a passion that could put other hobbyists to shame. There are close to 200 railfan groups on Facebook, where over one lakh people across India connect over this shared passion. “Trains may be just a means of transport for some, but they're a lot more to us. The thrill of running on the giant wheels of railways (sic) and looking at the diversity of our country through a whole new perspective, coupled with the awe of the effort that goes into transporting people and goods was what pulled me towards this hobby,” says Husain Sabir, who works at CRISIL Limited in Mumbai. And it is not just Deccan Queen that has railfans in a tizzy. 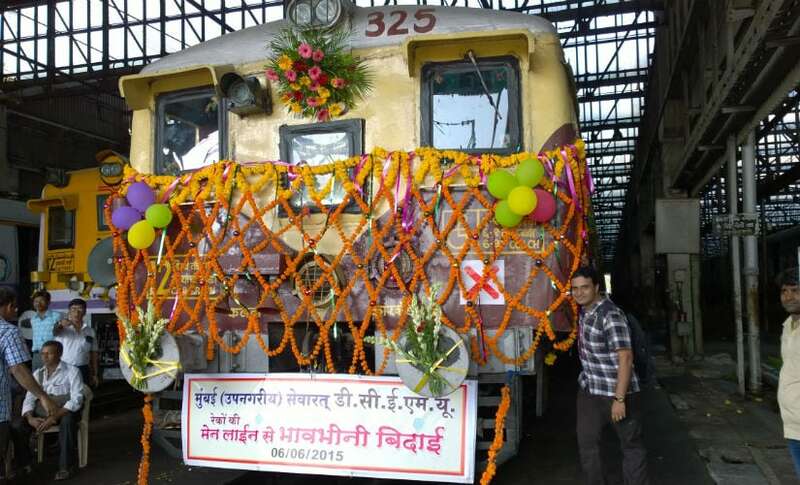 “We celebrate the birthdays of various trains like the Mumbai-Pune Intercity Express, LTT-Hazrat Nizamuddin AC Express and Mumbai-Firozpur Punjab Mail. We always look forward to these days. It’s a very special moment for us,” says Nikam. Recently, there have been several reports of derailment. Doesn't that deter them? “No. Never,” says Pune-based Himanshu Sharma. Although a veritable lifeline of the country, the Indian Railways is sometimes pilloried. A serious train mishap inevitably attracts public wrath — as it did in the wake of the Kalinga Utkal derailment, closely followed by series of derailments including those of the Nagpur-Mumbai Duronto Express and Kafiyat Express. Like true lovers however, railfans refuse to criticise the Railways for this. "If we reap the benefits of the Railways, it is the duty of railfans to stand by the side of Railways in their difficult times,” says 23-year-old Shardul Sabde, a deputy manager at Kotak Mahindra Bank. Railfans don't just love trains, they're obsessed with them. “I was in love with the railways since my childhood. So after my SSC exams, I deliberately took admission in a college far away from my home, despite being selected in nearby colleges as well, just so that I would get to travel in trains daily,” says Yogesh Sukheja from Ulhasnagar, who now works as software engineer in Capegimini. For many, boarding a train is not the end. Some obsessively seek out and catalogue “rolling stock”— any vehicle that traverses a railway, often focusing on locomotives or a particular coaches. Others want to photograph them. The love seems limitless. “I was 3-4 years old when my father took me to Dombivali station. The moment I reached the station, I saw a train passing at full speed. That was the first ‘railfan’ moment for me. Ever since then, I have started documenting my journeys,” says 33-year old Vijay Arvadhuman, a system auditor at Axis Bank. His passion for Mumbai locals got him and two other railfans together to work on making a database of all Mumbai suburban trains. Starting from 2011, they used to sit at any random station for hours, and note down the rake numbers. The database is so exhaustive and accurate that even the railway authorities seek their help at times. “Today, even if a single coach is misplaced from the rake, we get to know immediately,” says Vijay. For many, nostalgia influences their passion: they love machines that hark back to early railway history, such as steam locomotives. It helps to have a childhood connection to the rails. Shantanu Kulkarni, for instance, grew up surrounded by trains. “During my childhood years, my family used to frequently travel to Kolhapur from Mumbai. At that time, we had to change trains at Pune since the rest of the stretch was metre gauge. I still remember those small punkie coaches, and the smell of diesel from engine”. Take the case of Shardul Sabde and Himanshu Siloyia. 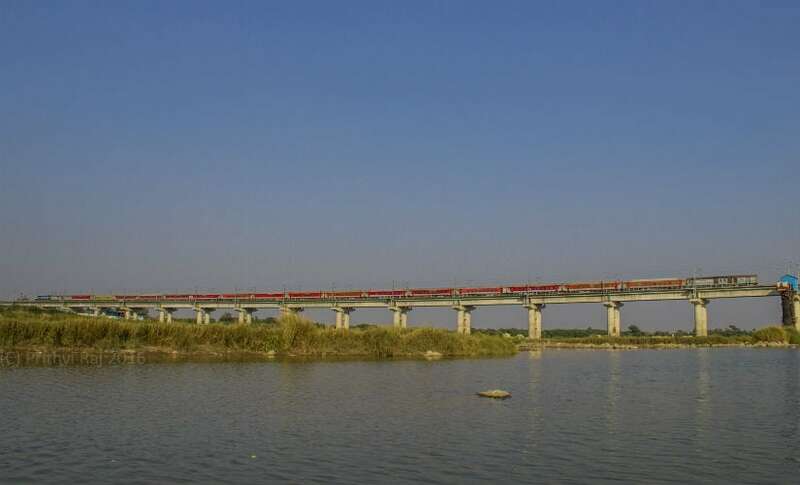 To catch a glimpse of the defunct metre-gauge rail network of the North East, they took a train from Mumbai to Bikaner, then to Agra, before finally reaching Assam. 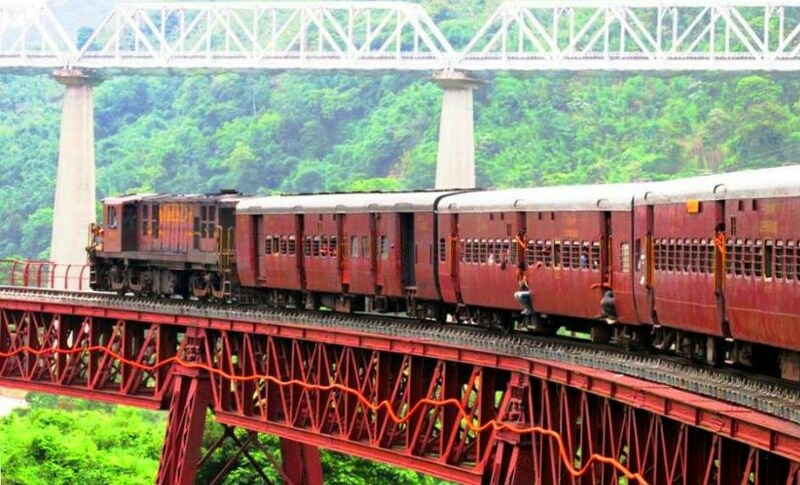 It took them seven days to reach Guwahati, despite a direct train from Mumbai taking 50 hours. Himanshu explains, “We always wished to see the Metre Gauge trains of East India, but before that I wanted to ride the high speed Gatiman Express and Dibrugadh Rajdhani Exp." "For railfans, time is directly proportional to enjoyment,” says Shardul. Some railfans makes train art, maintain laboriously detailed model train sets, and collect memorabilia. Bits and pieces of history are woven over a time frame to get a beautiful overview of the transition of the railways. Piyush Bhilegaonkar, an software engineer from Pune, is interested in collecting train tickets. He also has in his possession old paper tickets (also called Edmondson railway tickets). Used by the Railways till the late 1990s, these are now in circulation only in couple of heritage sections. "I still remember the day when I waited for 12 hours at Manjari Budruk Station, a small quaint village on Pune-Daund Section, to buy this ticket. The locals were utterly surprised that we spent the whole day just to collect these tickets. But that is what makes us railfans," he says. Every year, railfans across India meet at an event hosted by the Indian Railways Fan Club Association (IRFCA). The one stop destination for railfans, IRFCA was started with few rail fans in United States discussing Indian trains over e-mail in 1989. 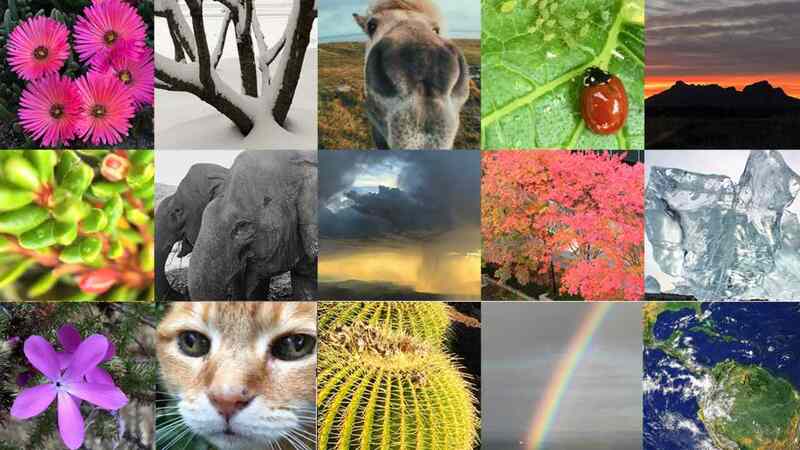 With the spread of the internet in recent years, the group now boasts of 10,000 plus members spanning across continents. Railfans share their collective passions for history, photography, travel, scheduling, and engineering around railways on the website’s forum and schedule informal ‘railfanning’ sessions. They have also documented just about everything to do with the Indian Railways — locomotives, signaling, operations, rolling stock, books and research, tracks, loco sheds, zones, freight, technical documents, its history, and maps. IRFCA maintains a complete database of locomotives running all across India, with technical specifications. In fact, the IRFCA picture gallery features a collection of the finest pictures ever of Indian Railways. Some of the railfans tend to know train timetables by heart. They can determine when and where a locomotive was manufactured with just a glance at the serial number; recognise the sound of a WAP-7 locomotive horn from kilometers away; and recall when a particular stretch of track was built, electrified, doubled or even closed. Once in a year, railfans across India meet at any pre-decided place where they discuss everything related to railways. They also have sessions and presentations, which covers technical topics, railway photography, trips, travelogues and much more. There is even a quiz where the winner gets a prize! And no prizes for guessing — locations for the convention can never be ‘normal’ tourist destinations. Railfans in 2012 voted for Mugalsarai, a town near Varanasi in eastern Uttar Pradesh, also home to Asia’s largest marshalling yard. The 2017 convention was held at Bhilai; next year’s convention is at Vadodara, also called Mecca of Indian Railways. “Hosting such an event is a special thing for us,” says Avinash Patil, who organised the Bhilai convention or BIA-2017 (BIA is the railway code of Bhilai). The chief guest, Divisional Railway Manager (DRM) of Raipur division, was surprised and most excited to be a part of this event, says Patil. On any given day, small groups of railfans often go “railfanning”, riding trains purely to experience the journey and geek out over railway trivia, before sharing it on the club’s forum. Getting leaves from Indian bosses is not easy! But railfans gather at small wayside station, bridges, tunnels, viaducts, railway crossings or a mountain or a hill overlooking tracks to document and discuss their love for trains. 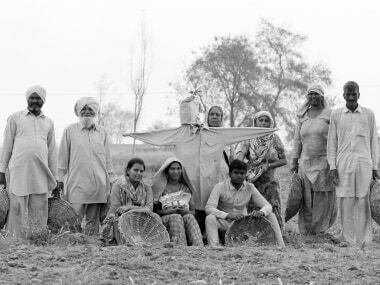 They have to climb hills, cross rivers, walk kilometers, and wait for hours for a train to pass, sometimes in the dead of the night, braving the sun, the cold, and the rain. However, they do it with the same passion of a wildlife photographer waiting for that one definitive shot. “I still remember, once my favourite train Bengaluru Rajdhani was running 12 hours late, due to fog in North India. I took a day off from work, drove 200 kilometers to my favorite location, Krishna Bridge near Raichur. I waited there for almost five hours until the train showed up. That remains my favourite experience, and I shall take those moments to my grave,” says Prithvi Raj who works at Amazon India in Hyderabad. For some, travelling is their way of exploring their love for the railways. “In 2015, I took a pan-India trip across Delhi, Lucknow, Bareilly, Jaipur, Udaipur and Agra just to explore three metre gauge sections. It was my first trip to North India,” says Sarabha K from Chennai. Every year, groups of railfans from Mumbai take a ‘Suburban Parikrama’ to explore and cover the entire suburban Mumbai corridor. “We left from Thane at 5 am. 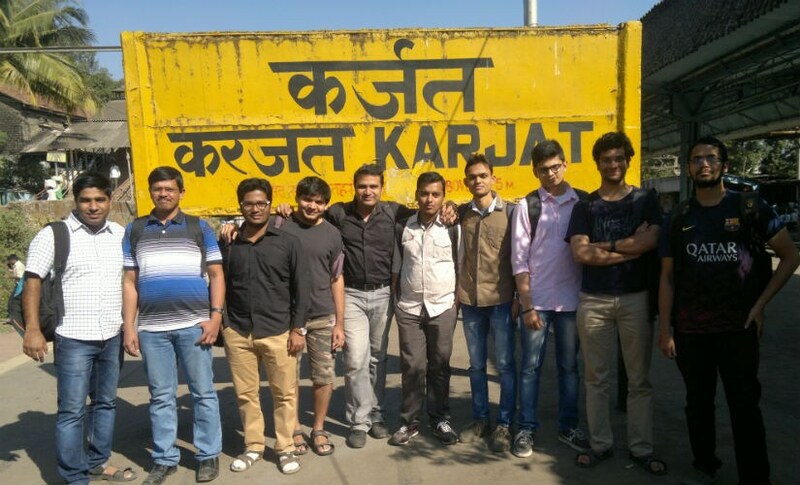 We travelled to Kasara, Kalyan, Karjat, Khopoli, Panvel, CST, Mahim, Churchgate, Dadar, Dahanu Road and then back to Thane. By the time we got back, it was 2 am the next day. In a 22-hour trip, we talked about trains. It was among the best experiences I have had with locals,” says Shantanu Kulkarni. However, Railfanning, is not just about capturing trains, or collecting memories. Sometimes, they are an engine of change in Indian Railways. “Our love is not just about capturing trains. As railfans, we have moral and social responsibility to bring about a collective change in the system”, says Vijay. Vijay is a frequent traveler from Thane to Airoli. He, like many others, did not like the rust colour of the old Harbour Line direct current (DC) rakes. “They looked very dull”, says Vijay. Instead of just whining about it with his friends, he contacted the Chief Electrical Engineer (CEE) of Central Railways and suggested changes in the colour scheme. The CEE, instead of dismissing him, took his query seriously and implemented his colour scheme. Nothing misses the eyes of railfans. “We didn’t like the way the rake numbers on the local trains were painted. 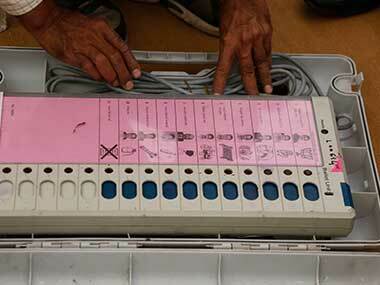 We suggested the railways stop using stencils, and they accepted,” says Vijay. And if you think, railfans can only change the colour of trains, think again. “In 2014, railways introduced a high speed train from Mumbai to Delhi. However, since its introduction, it used to run late. In fact, on many occasions the Railways was forced to cancel/reschedule the train, this despite the fact that passengers were promised a high-speed connection. We decided to take up this with the authorities,” says Amol Nikam, who with the help of his friends,ran from pillar to post to ensure their favourite train runs on time. This led to increase in the train’s speed from 120 to 130 kmph. “It still runs 20-30 minutes late. But it’s still a small victory for us,” says Nikam. With the advent of social networking sites such as Facebook and WhatsApp, railfans have become more active than ever, rapidly sharing every detail they get. However, extreme passion has also caused railfans to run into trouble. There have been cases of fans being run over while taking photos of trains. In 2013, railfan Swapnil David from Jabalpur died while shooting a video from the train door. “He fell off from the train and died. We lost one railfan, and it hurts us a lost to hear about the incident,” says Prithvi Raj. Also, capturing and photographing trains is illegal. At any station, shunting yard or loco shed, if you attempt to take a photo, you are likely to face a lecture or possible jail time. “It’s a serious challenge to click photos at railway stations. We do ensure that we keep officials informed about our hobby and take verbal permission while we click. Some of the RPFs do understands us, but some of them are not aware of this and they do not allow. We try to explain and in case if they don’t, then we just go to some spot where we don’t have to trespass on railway property,” says Prihtvi. Like any other hobby, railfanning too has its own pitfalls. Many a times, amateur train lovers wander too close to the tracks, raising safety concerns and irritating loco pilots and railway employees. In the race to make their videos popular, railfans also tend to upload dangerous and risky shots, which jeopardise the whole community. “It’s very disheartening to watch newer generation of railfans taking it as a religion and not as a passion, waging wars on social media, taking videos from risky positions, this will make the whole railfanning fraternity troublesome, in the minds of railway staff,” says Shardul Sabde. Just like bird watcher keeps an eye out for specific birds, railfans watch for cargo and passenger trains. On a lucky day, they may spot an ‘offlink’ (when a train is not given its regular engine) locomotive. And they are ready wait at the station for hours, before the station bells jingle a warning. The horn screams twice, and the howling rasping of a locomotive crashes toward them, as they watch the train come into focus from a distance before clicking the ‘perfect’ shot. For motorists, the ding-ding-ding sound of the warning bell at a railway crossing might be the sound of annoyance, as cars stack up behind the cross arm. To rail fans, it’s a call to action. PS: The writer of this article is also a railfan.